Brian Bussey started working in the environmental field in 1989. His clients consistently praise him for his thorough knowledge and hands-on style. A North Shore native, he knows the local environment as well as the ins-and-outs of every environmental problem and regulatory context. 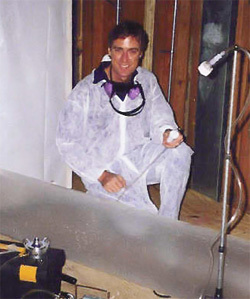 As an industrial hygienist, he has performed many thousands of environmental audits in industrial, commercial, institutional and residential settings throughout the Chicago Metro area, as well as project management at the Field Museum and Chicago’s Jardin Water Plant, Gold Coast hotels and luxury condominium buildings, schools, hospitals, sewage treatment facilities, and nuclear power plants. His environmental testing expertise includes air, surface, bulk, and soil sampling for mold, bacteria, viruses, asbestos, toxic chemicals, radiation, lead paint and heavy metals, fine particulates, and electromagnetic fields. Founded in 1998, Bussey Environmental has provided environmental consulting services for thousands of clients throughout northeastern Illinois, northern Indiana, and southeastern Wisconsin. To maintain integrity and objectivity, air quality testing must be performed by an entity independent of the business of remediation. Bussey Environmental has avoided ownership interest of any kind in remediation firms: we are solely in the business of indoor air quality testing and auditing. 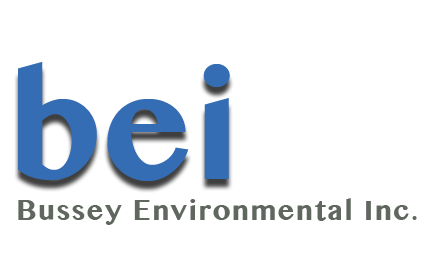 We will investigate, test, provide written recommendations and protocols for remediation, and can offer a list of recommended remediation contractors to bid on the work that needs to be performed. The contractors we recommend have consistently performed well for our clients as proven by follow-up testing.